If you find yourself in the freezing snow, under the scorching heat of the desert, getting wet or dropping your thing on the asphalt, then take note. 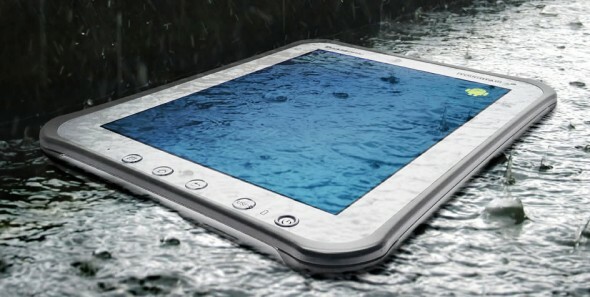 Panasonic has just announced a duo of Android tablets for extreme handling and extreme conditions. Bear in mind that Panasonic is no stranger to rugged computing; it has long marketed the Toughbook laptop to military, law enforcement and heavy industrial users. The new tablet duo consists of the 10.1-inch XGA LED 1024 x 768 Toughpad A1, which will be available next spring for $1299, and the 7-inch Toughpad B1, which will be coming in the fall of 2011. They both feature a military grade rugged design with water and dust-resistance. The Toughpad A1 is an Android 3.2 Honeycomb tablet with a Marvell 1.2GHz dual-core processor, 1GB of RAM and 16GB of storaga. It has a GPS receiver, optional integrated 4G or 3G connectivity, Wi-Fi, Bluetooth 2.1 and 2-megapixel front and 5-megapixel rear cameras. What you would be more interested to know is that it’s military standard MIL-STD-810G and IP65 certified rugged with 4-foot drop rating, water and dust resistant and is safe for use in extreme temperatures from 14 to 122 degrees Fahrenheit. The chasis is made of magnesium alloy encased with ABS and elastomer. Panasonic claims a daylight-readable 500nit LCD display with anti-reflective and anti-glare coatings. Embedded hardware security for FIPS 140-2 compliance with hardware encryption and software encryption. Panasonic hasn’t skimped on any features here and course all these add up, making the Toughpad A1 a 10.5x 8.4x 0.7 inch, 2.1 lbs (952g) beast. Panasonic is marketing the tablet for business use, like law enforcement, healthcare, field sales, utilities and military. You can catch a video of the Toughpad A1 getting some seriously rough handling after the break. Dual-core smartphones are so yesterday, when you can have quad-core wonders that is. And here we have our first rumor of a new HTC device the Edge, which is said to run on an Nvidia Tegra 3 1.5GHz 1.3GHz quad-core processor. So if you were getting comfy with the idea of having the latest and greatest Android smartphone like the Samsung Galaxy Nexus, HTC Rezound or Motorola Droid RAZR, know that their reign will end soon (well not until early 2012 at least). So the HTC Edge is said to have a 720p HD 4.7-inch display, an 8-megapixel 28mm f/2.2 lens with rear backlit sensor camera, 1GB of RAM and measure only 10mm thick. It’s supposed to have 32GB of storage and Bluetooth 4.0, though no word on an LTE or HSPA+ radio. Sounds like a dream, huh? Of course no word whether it will ship with Android Ice Cream Sandwich, though since HTC is already upgrading a host of smartphones to ICS in early-2012, we would consider it a done deal. 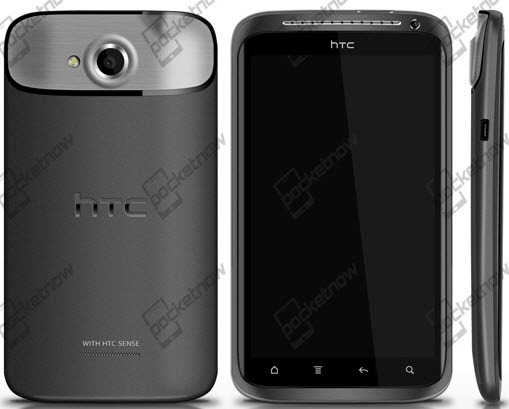 The HTC Edge is expected to arrive in early to mid-2012, if the rumors are right that is. Aren’t software upgrades a wonderful thing? One day your smartphone is sporting a lowly Android 2.3 Gingerbread operating system, and the next, it receives a free update to the shiny, new, Android 4.0 Ice Cream Sandwich (ICS). If you don’t know why you would want ICS on your phone, check out our Android basics column, and our complete guide of all the new features and improvements in ICS. With all that on the table, it’s pretty normal that any current Android user, would want to get the Android 4.0 update, while HTC had been quiet on its update schedule since ICS was revealed. Well, the company has now confirmed its upgrade plans on the company’s Facebook page. Obviously HTC’s latest handsets will be getting the upgrade, with the HTC Vivid, HTC Rezound and the HTC Sensation, Sensation XL and Sensation XE all getting Ice Cream Sandwich in early 2012. The HTC EVO 3D, HTC EVO Design 4G and HTC Amaze 4G are also getting ICS. HTC will continue to assess its current line for upgradability, so don’t despair if your device isn’t included in this first wave of upgrades. There is also no mention of any of the company’s tablets, like the Flyer or the Jetsream yet. You can find HTC’s statement after the break. 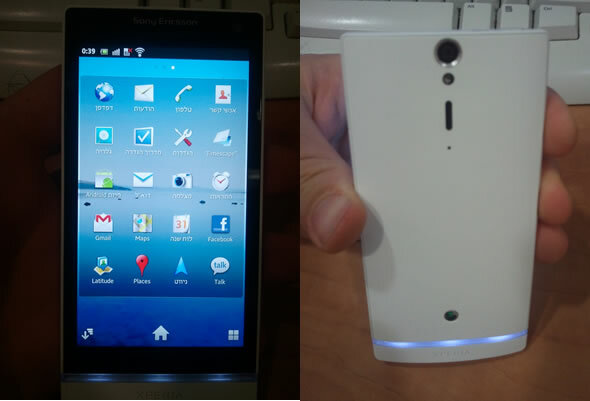 Although information is still sketchy, images of a new Android smartphone, the Sony Ericsson Xperia Arc HD (a.k.a. Nozomi), pegged as the Xperia Arc successor, have leaked over at iAndroid. The smartphone with model number LT26i, is sporting a 1280×720 (720p) resolution with a retina worthy 320dpi (dots-per-inch) pixel density, similar to the just announced HTC Rezound, with a 4.3-inch display. The Nozomi or Xperia Arc HD is rumored to run on a 1.5GHz dual-core Snapdragon processor with 1GB of RAM. The Quadrant benchmark score in the pictures is 1,840; this is relatively low for such a processor, but would show how tasking it is for the GPU to drive the 720p resolution. Besides that, from the images we can see front and rear cameras and Xperia branding, while there is a white LED row at the back of the phone. As with all current Android smartphones, this one is running Android 2.3.5 Gingerbread, though Android 4.0 Ice Cream Sandwich might catch up with the Xperia Arc HD before it is finally released, making it the first smartphone by Sony Ericsson to run the latest and greatest version of Android. Besides, remember that 720p is the native resolution for Android 4.0. So, remember the event that Barnes & Noble has scheduled for this coming Monday the 7th? 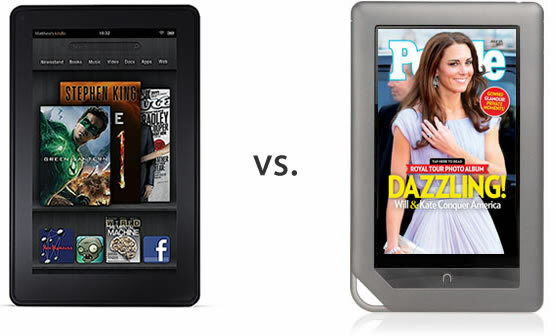 Remember, when we were talking about a Nook Color successor to take on the Amazon Kindle Fire? 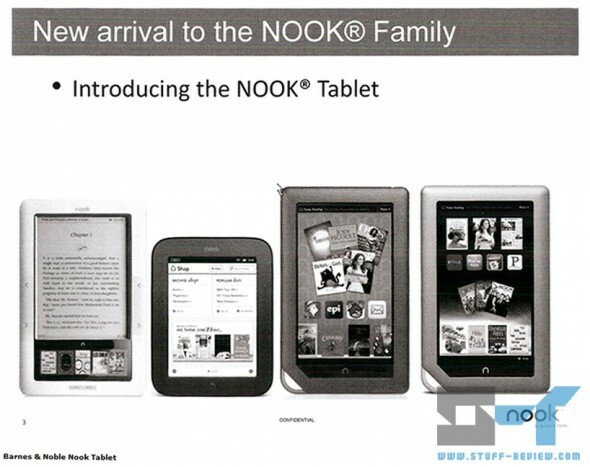 Well, information on B&N’s new tablet/e-Reader has leaked ahead of the event, and we have it here for you. The new device from B&N will simply be called the ‘Nook Tablet’. As you can see, it’s very similar in appearance to the Nook Color; but what you can’t see is that it’s thinner, at 0.48 inches (from 0.5 inches for the NC) and lighter at 14.1 oz (from 15.8 ounces). The Nook Tablet is getting a much needed processor upgrade, with a new 1.2GHz dual-core OMAP 4 processor, 1GB of RAM (double that of the Kindle Fire) and 16GB of built-in storage (again double the Fire’s capacity). You will be able to expand storage through the microSD card slot, something the Fire is missing. Three major Android manufacturers, Samsung, HTC and Motorola, have all recently announced their big-screened flagship handsets, just in time for the holiday season. Now that everybody’s cards are on the table, we take another look, comparing the 4.65-inch Android 4.0 Ice Cream Sandwich bearing Samsung Galaxy Nexus, the rugged and super-slim 4.3-inch Motorola Droid RAZR and the Beats Audio sporting and retina busting 720p 4.3-inch HTC Rezound. If you are an Android fan, it’s never been harder to choose a new smartphone, hopefully our handy comparison, which is after the break, will help you make up your mind. Android handheld devices with dual-core processors are a dime a dozen (or so to speak) nowadays. But not many run on Samsung’s Exynos system on a chip (SoC). There’s the Samsung Galaxy S II smartphone and well now there’s the Samsung Galaxy Tab 7.0 Plus tablet. So what’s so special about Exynos? Well, pitted against the competing dual-core Qualcomm Snapdragon S3, NVIDIA Tegra 2 and TI OMAP 4 SoCs, the Samsung Exynos comes out as king. It’s got both serious processing and graphics chopping jaws, as was clearly demonstrated by some serious benchmark performance from the SGS II. 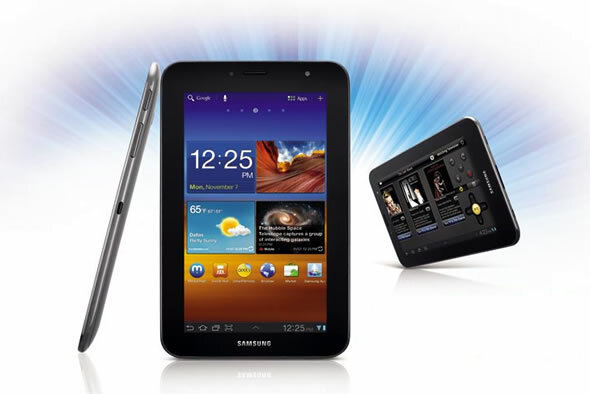 The Galaxy Tab 7.0 Plus packs a dual-core 1.2GHz Exynos processor, a 7-inch 1024×600 resolution display (unfortunately it’s not AMOLED) with a 3-megapixel rear and 2-megapixel front cameras. The tablet runs Android 3.2 Honeycomb and was supposed to appear on U.S. retail channels on November 13th. Well Amazon US seems to have jumped the gun a bit and is already shipping the Galaxy Tab 7.0 Plus for the advertised price of $400. You are well warned now, if you were looking to grab yourself a skinny little performing tab. The HTC Rezound (a.k.a. HTC Vigor) is finally official. HTC has announced its new flagship Android smartphone, heading to Verizon Wireless’ speedy 4G LTE network, at a press event in New York. As it was previously rumored, the Rezound sports a 4.3-inch screen at a 1280×720 HD resolution, that’s a retina display worthy pixel density. It will run on a 1.5GHz dual-core Qualcomm MSM8660 processor with 1GB of RAM and 16GB of internal storage. It’s a Beats branded device, and comes with a matching set of Beats by Dr. Dre earbuds and a Beats sound profile that will make you music sound oh-so sweet. The device will obviously come with Android 2.3 Gingerbread and HTC’s Sense 3.5 at launch, with an Android 4.0 Ice Cream Sandwich update coming early next year. The HTC Rezound will be offered coming Novermber 14th for $299.99 on a two-year commitment. The Rezound comes with an 8-megapixel f/2.2 28mm wide-angle lens back camera with dual LED flash and a 2-megapixel front camera and will be capable of shooting 1080p video. You will also be able to charge the 1620mAh battery (oh why doesn’t HTC include bigger batteries) wirelessly on the optional dock. The HTC Rezound measures 129 x 65.5 x 13.65 mm. You might want to check out how the Rezound holds up to the rest of the Android heroes, the Motorola RAZR and the Samsung Galaxy Nexus, in our concise comparison. More pictures and full specs after the break. Motorola has officially announced the Xoom 2 and Xoom 2 Media Edition Android tablets. We can’t say we are surprised here, as the two tablets have been long-rumored. The Motorola Xoom 2 is a business-centric 10.1-inch HD display tablet running Android 3.2 Honeycomb (obviously no Android 4.0 Ice Cream Sandwich at launch as this is a Galaxy Nexus exclusive). It measures 253.9 mm x 173.6 mm x 8.8 mm and weights 599g (1.32lbs) – 100g lighter than the original Xoom. 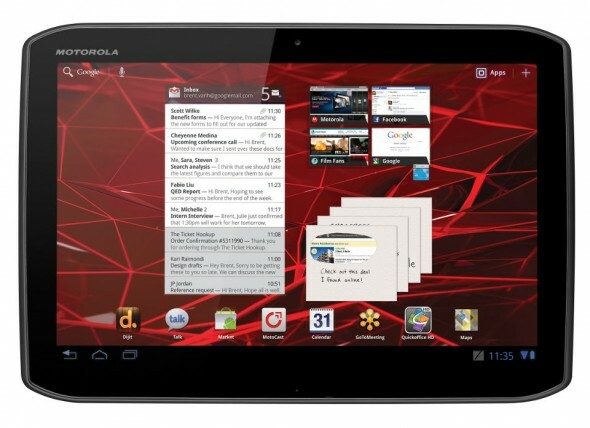 The Motorola Xoom 2 Media Edition, shrinks down to an 8.2-inch HD panel measuring 39mm x 216mm x 8.99 mm and weighing 386g (0.85lbs). 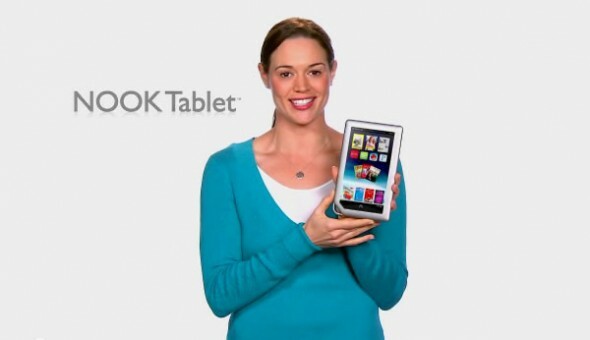 Otherwise, in terms of specifications the two tablets are similar. Both run on 1.2GHz dual-core processors with 1GB of RAM and 16GB of storage. They have a Gorilla Glass displays and a splash-guard coating, something we’ve recently seen on the Motorola RAZR, to protect them against accidental spills. Motorola claims that the Xoom 2 Media Edition will be easier to hold because of the smaller footprint, while it has a wide 178-degree viewing angle. Graphics performance is also mentioned to be 20% better than the original Xoom. The Xoom 2 also comes with a host of business centric applications and Motorola will be offering a stylus as an accessory. There is no word yet on U.S. availability, but the two tablets will be available in the UK and Ireland mid-November. The Xoom 2 with initially retail for £325+VAT ($520) and £299+VAT ($480) for the Xoom 2 Media Edition. Motorola has confirmed that the two tablets will eventually be getting Android 4.0 Ice Cream Sandwich shortly after Google provides the code to Motorola. Full specs, pictures and video after the break. 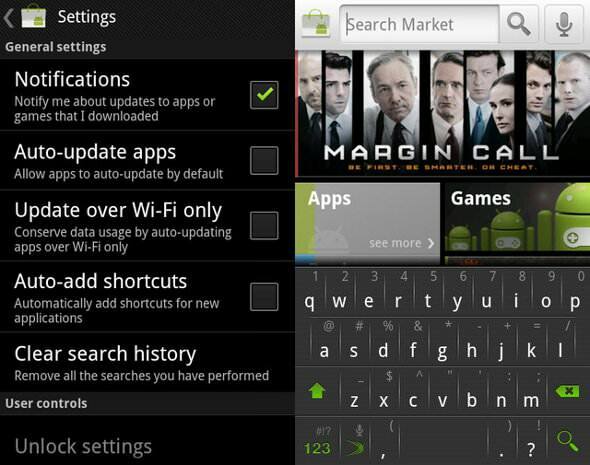 A new version of the Android Market is making the rounds, now automatically updating on select handsets, version 3.3.11. Although there are minor visual changes such as a new Market icon, more prominent star ratings, large apps have a small ‘Wi-Fi’ icon, a microphone for voice input on Market search and other interface tweaks, most major changes involve giving you more control. You can now choose to auto-update apps as a default, previously you had to select auto-update for each application, and there is an option to ‘update over Wi-Fi only’, which is a welcome addition if you want to avoid eating up your monthly data plan allocation just for downloading another Angry Birds update. Finally you can select to automatically add shortcuts for downloaded applications to your homescreen (like in Android Honeycomb). If you are the impatient type you can download the Market .apk file (after the break) and try it out for yourself, or play it safe and wait for your device to autoupdate. Mind you, that this file doesn’t behave well with Honeycomb tablets. If you do install the file below, go to Settings > Applications > Manage Apps > Market and select ‘clear data’ if the Market is misbehaving. 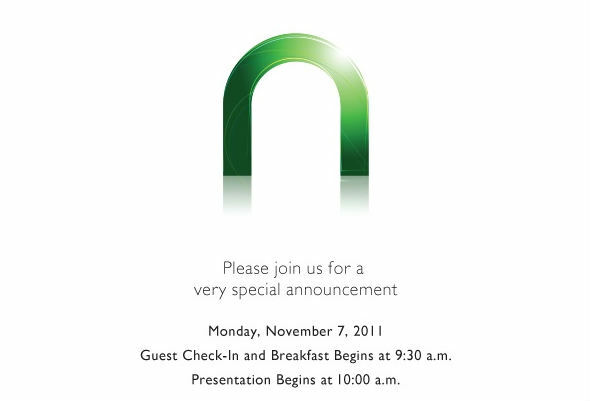 We’re expecting HTC and Verizon to announce the HTC Rezound (a.k.a. HTC Vigor) any day now. A lucky tester, has made a video of a pre-production model of the Rezound and has, of-course, posted it for all of us to see. 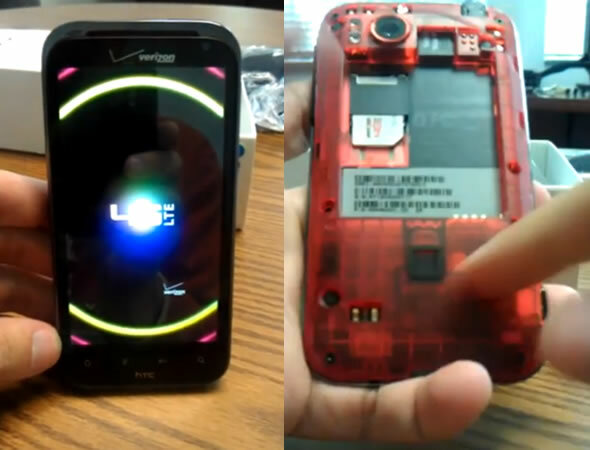 The 4.3-inch, red-themed, Android smartphone shown-off here, carries both the Verzion and 4G LTE logos. The tester confirms all the specs that we originally reported. That is, that the HTC Rezound will run on a 1.5GHz dual-core processor, feature a retina busting 1280×720 HD resolution, have 1GB of RAM with an 8MP back and 2MP front cameras. It’s running Android 2.3.4 Gingerbread and HTC’s Sense 3.5. 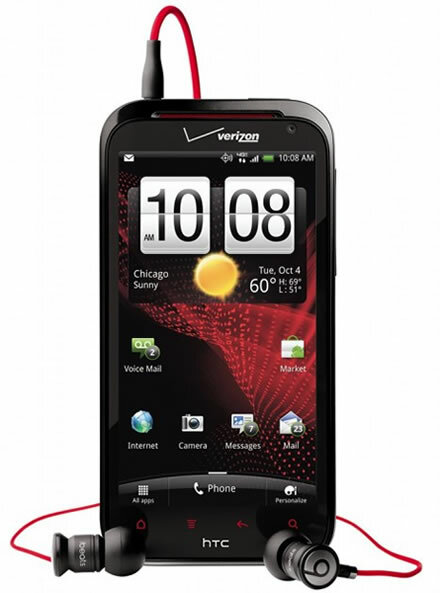 The Rezound is going head-to-head with some pretty heavy competition from Samsung’s Galaxy Nexus and Motorola’s RAZR, all of which are also expected to appear on Verizon. 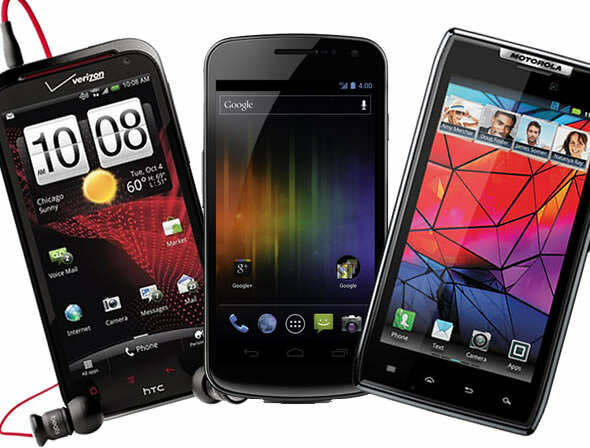 You might wanna check our nifty comparison of the three handsets, if you are on the fence on a new Android smartphone. Oh and the video is after the break.